Andy Chan is a retired Padi Master Instructor #82967 Establish Albatross Dive Center in 1988 at the GiLi islands of Lombok, spend 3 decades in the diving industry, teaching and running Albatross Dive Center. Andy is a Nikonos V photographer in the early 1990, and started a digital photography in 2009 using a Canon G9 compact camera with an international result in 2010. 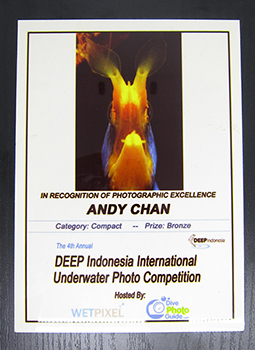 Winner of Bronze prize for the Compact camera category at The 4th Annual - Deep Indonesia International Underwater Photo Competition - Hosted By WetPixel and Dive Photo Guide. In 2011 Andy started OceanPixel.Net - an online shop, selling underwater camera housing and accessories. It has been Seven years now Ocean Pixel.Net selling underwater camera gear online. 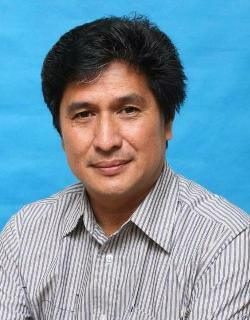 During that period of time we build our customer trust, for the after sales and service. We only offer underwater camera gear with strong backed up from the Distributor / Factory. Thanks to all our loyal Nauticam customer for this support and privilege.